Tha mi ag aontachadh gu mòr leat mun leabhar “Dune” le Frank Herbert. 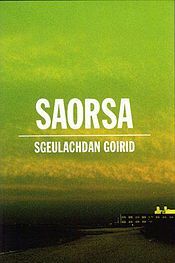 Leabhar air leth inntinneach, inntleachdach, mac-meanmnach, agus air a dheagh sgrìobhadh. Is ann o chionn bliadhnaichean mòra a leugh mi e ’s mi nam laighe air tràigh theth ann an ceann a deas Sasainn. Greis as dèidh sin thug mi air iasad e do chuideigin. Nuair a thachair mo charaid a-rithist orm rinn e gàire mun chùis, oir bha gainmheach air a bhith tuiteam a-mach às na duilleagan fhads a bha e ga leughadh! 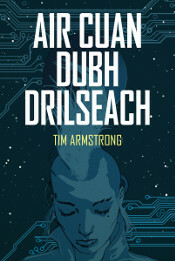 Tha mi dìreach air do nobhail fhèin “Air Cuan Dubh Drilseach” a thòiseachadh, agus tha e còrdadh rium. Is math a rinn thu dha-rìribh. Am faic sinn sreath? Agus mòran taing cuideachd airson an làraich-lìn spaideil a tha seo agad. Hey, tha sibh ceart! Cha do mhothaich mi sin agus tha mi a’ faireachdain car gòrach a-nis. Choimhead mi am fiolm beag aig Sean Young o chionn ghreis, ach cha do chuir mi 2 + 2 ri chèile. 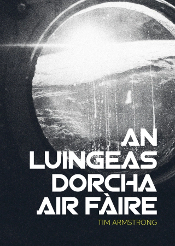 Agus chì mi air Wikipedia gun do rinn i an dà fhiolm (Dune agus BR) gu math faisg air a’ chèile, le dìreach aon fhiolm eile eadarra. Tha an cleasachd aice mar Chani gu math eadar-dhealaichte bhon ròl aice mar Rachael ge tà. Inntinneach. Taing!